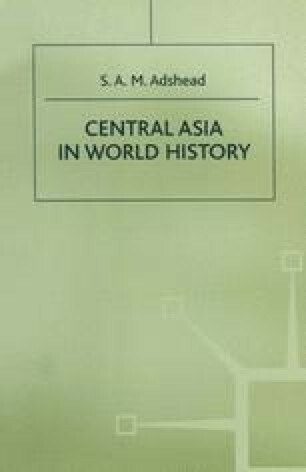 In the previous chapter, the impact of modern technology on Central Asia, as mediated through the higher polytechnic, was considered. It was concerned with the material end of the world order, the infra-red so to speak. In the present chapter, the impact of modern thought-patterns on Central Asia, as mediated through what will be called the common consensus, will be considered. It will be concerned with the intellectual end of the world order, the ultra-violet so to speak. The common consensus is the keystone of the current world order. The set of world institutions considered in earlier chapters obviously did not amount to a world empire, a universal state, and perhaps never will. For, as Wallerstein had argued, the evidence of the past suggests that the world order, with all the advantages it brings, is weakened by any attempt to turn it into a world empire.1 Indeed, the world order does not yet amount to a world system. Its various institutions have grown up too haphazardly, are not sufficiently interrelated, and do not follow an architectonic plan, whether taxic or intertaxic. Yet the world order is already more than global factors, such as figure in geology and meteorology. Its institutions form a set and not simply a collection.